You must make reservations at least 5 minutes in advance of the time at El Meson. Flamenco guitarist Randy Cordero performs every Wednesday night at El Meson. Cordero has studied with such prestigious guitarists as Rene Heredia, Paco Garrigues "El Chatarrero", Chuscales, Jose Luis Rodriguez, Pedro Cuadra and Domingo Rubichi. No cover. The Havana Room seats up to 28 guests for private dinners and is available Sunday through Thursday. Minimum charge for the private dinner is $1,200.00 which includes food and beverage. A 50% deposit in advance is required for reservation. The deposit is refundable upon cancellation 48 hours prior to the event. Business lunch reservations are also available with no minimum charge required. 20% Gratuity is added to the total. Multi course wine and food pairings are available. Chef Pedro is also a Certified Sommelier and he will be happy to personally consult with you on the menu preparation. Visit our website for more details. This cozy neighborhood eatery offers classic Spanish and Cuban cuisine in a casual atmosphere. El Meson Restaurant is located in the heart of The Village, a quaint, pedestrian-friendly shopping and dinning district, a short distance away from downtown, the museums and the Medical Center. El Meson features an award winning wine list offering the largest selection of Spanish wine in Texas and a temperature-controlled wine cellar housing vintage wines, all modestly priced. The House Specialty, La Paella del Meson, saffron flavored Valencian rice with poultry, meats and seafood, is offered in a variety of ways and is custom prepared to order. The grill features fresh Prime New York Strip, Rib Chop, Beef Tenderloin and fresh Australian Lamb Chops, served with a roasted red pepper - port reduction sauce. Everything was excellent - as usual. Best Frozen Margaritas in Houston, TX !! Lovely as always. Food was very good. Very nice ambiance. Service was great and the food wonderful. The scallop & asparagus tapas was perfect as was the steak. We split our entree for a reasonable split fee. The rice and plantain were perfect companions to the steak. Food and service in a family friendly environment is always guaranteed. We are frequent diners. We love it. Great wine list. Ask for Jessica to help with your wine selection. We have had everything on the menu and it is all great. 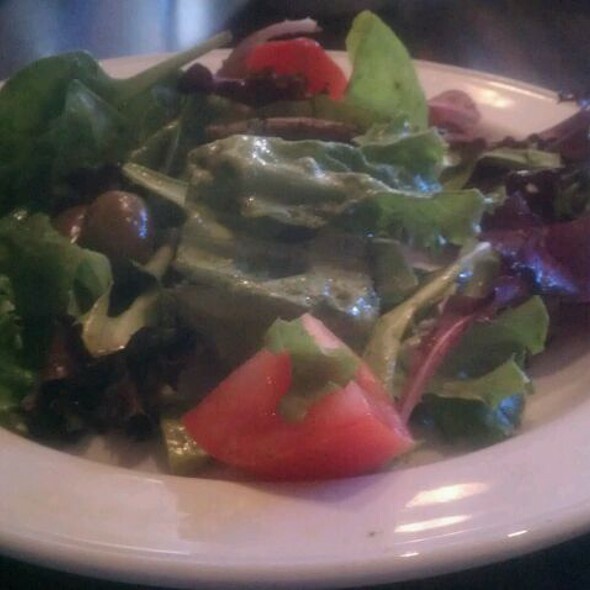 Food, service...it's all great and neighborhood atmosphere. Second time to dine and the food and service was excellent. Definitely a more relaxed atmosphere. Food is fantastic, but be patient for paella. It takes 40 min to make and the cost is not reflected on the menu. Paella for one person is 30, but you are required to buy 2 servings. I don’t get that if I go alone. Service was great, not as friendly as I’d have liked specially providing more knowledge on their food. It was more of an inconvenience to ask. My friend ordered beer and the beer selection was minimal, but the server didn’t provide him with what’s available. Again, service needs training on courtesy. I’d definitely recommend the place. It’s amazing. 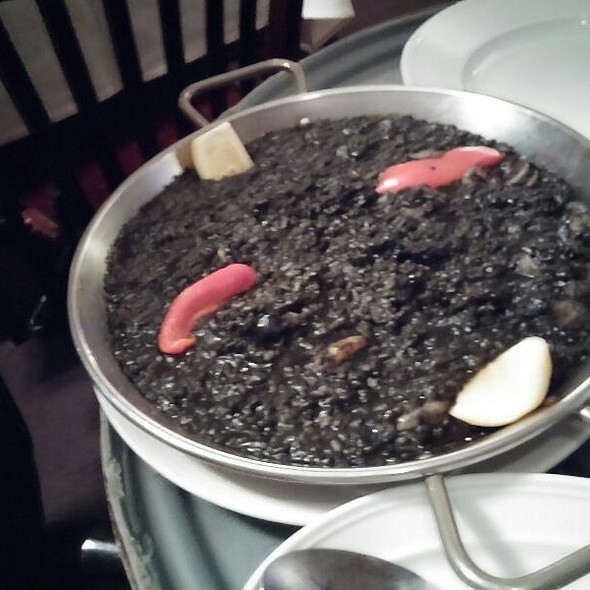 I ordered black paella and nothing from a heavenly meal. The tapas are super small, so expect to order at least 4. El Meson has a wide variety of tapas plates which are exceptional. 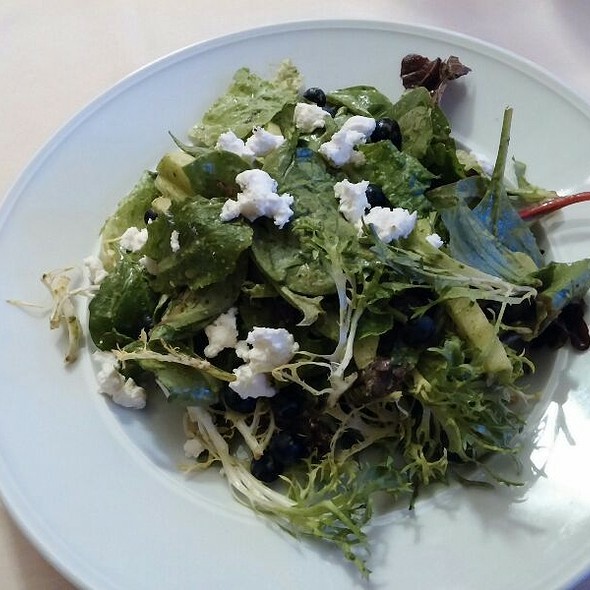 Try something outside your usual selections and discover a new favorite. Service and ambiance were also superb. Love the Restaurant! Have been going for over 20 years! If I had any negative -prices have gotten pretty high for family dinning. Food is really great and owners are awesome. Fabulous flavor. I would pass on the drinks sangria wasn’t good at all and the margarita tasted like a mix. The food though was very good. We love this restaurant. It's great for larger groups. 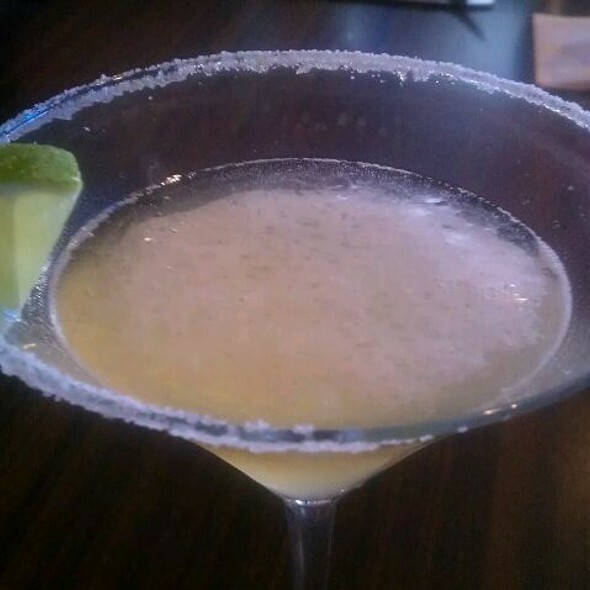 Great food, great margaritas and a good wine list. One of our favorites in The Village. Jessica the owner is wonderful. Have her recommend a favorite wine! Food was amazing. Excellent menu, beautifully prepared from the Tapas to the Paella. Will be back....loved it. The waitstaff is exceptional. We were well taken care of even on a busy Friday night, with a charming waiter. We had the bacon wrapped dates, the croquettes, and a shrimp tapas. All three were amazing. We had the seafood paella, which was phenomenal. We were not rushed. The noise was only noticeable at one short point during the night. That was more a result of a group erupting into laughter. Terrific restaurant and service. One of my favorites in Houston! Celebrated a family birthday this past Saturday. The staff was friendly and accommodating. All of our dishes were satisfying--especially the seafood paella. We will definitely return. Atmosphere and staff was very friendly. Great food and service. Lovely neighborhood place popular with locals. The tapas prior to our main course were delicious very fresh and perfectly seasoned. We split the house paella; it was outstanding with fresh seafood and well prepared. A bit pricey but huge portions so plenty of left overs for tomorrow’s lunch or dinner. 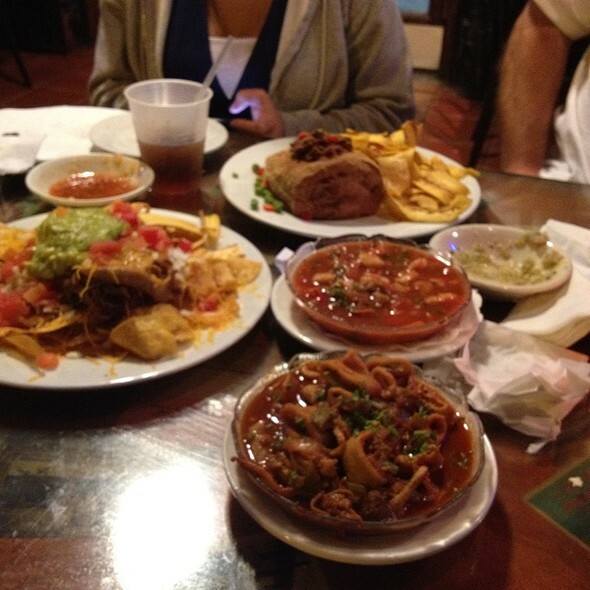 We always receive great service and delicious food. 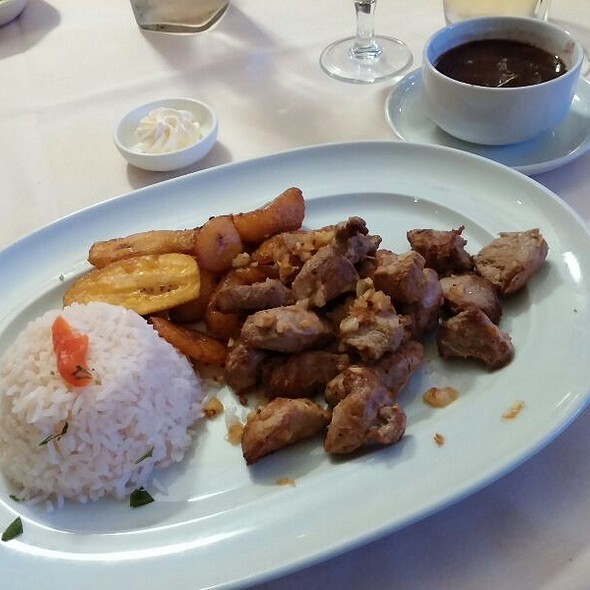 El Meson continues to do a great job on traditional Cuban menu favorites. Returning after a year, we found the same quality that we have enjoyed for over 15 years. The prices have risen noticeably since last visit and portions appear a bit larger. The environment is surprisingly quiet compared to other dining possibilities. Very good wine list, including several available by the glass. The red snapper was great, but the gazpacho and shrimp nachos were only so-so. Pleasant atmosphere and better parking options now that parking meters are in many of the parking areas. Best Spanish-Cuban food I’ve had in a long time. Open one in Dallas Texas, please!! Food was quite good. However, the waiter who took care of us was very poor. 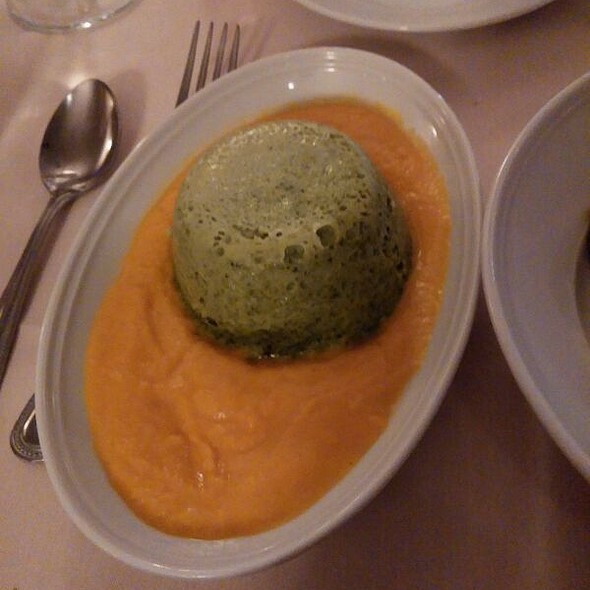 It unfortunately ruined the whole dining experience. Dinner at El Meson feels like family. 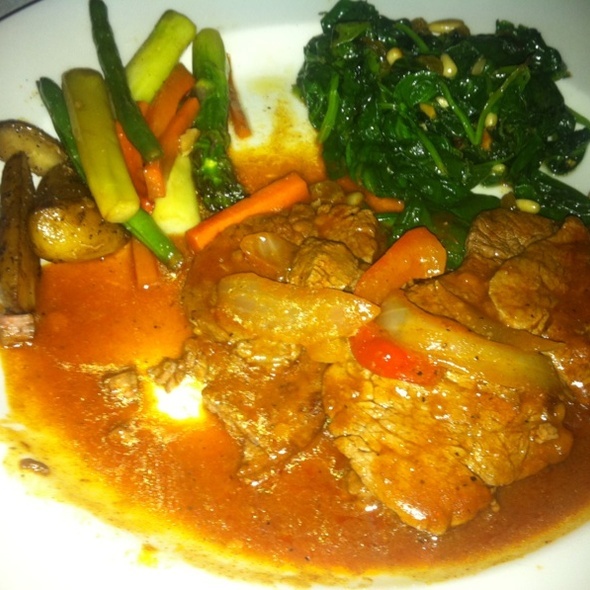 Excellent food and service with a friendly atmosphere. Fish meals are outstanding with a choice veggies or outstanding rice and black beans to be topped with tostones. Very good food - loved the lamb chops and the flan. Solid but not out of the box. Would definitely go again. 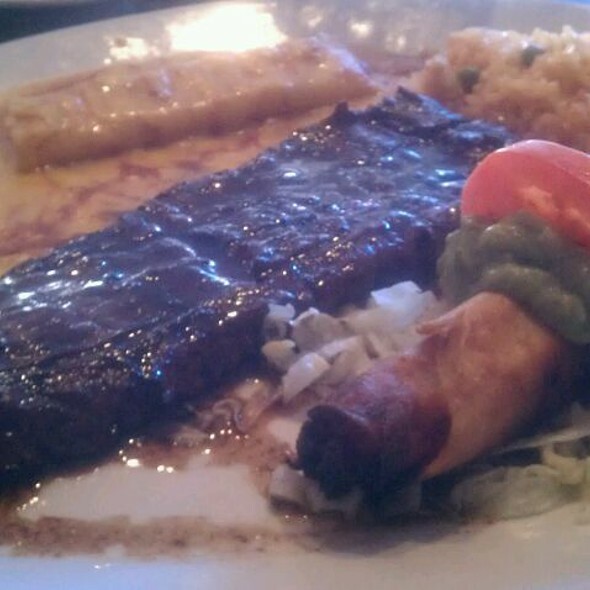 We love El Meson! It is my favorite neighborhood gem. I would go twice a week, if my family let me. It is awesome to even just pop in during the afternoon for a quick bite while in the Village. It old faithful for 20 years, it’s our family favorite. Food good, although tapas served all at once. Service sparse.